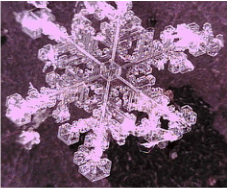 What state of matter is a snowflake? It is made of water! 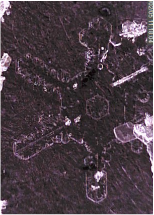 What shape do you notice in the center of the snowflakes? At the edges of the arms? How many long arms does each snowflake have? Watch a snowflake grow! Click the here! What shape is always repeated as it grows? 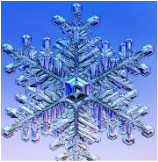 This is a snowflake from the movie Frozen. For more science information about how science is portrayed in the movie Frozen, click here. 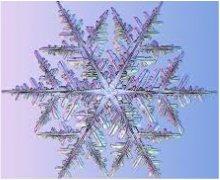 The shapes of the snowflakes are similar because the atoms and molecules that make water H2O are at this angle. Many water molecules together make what shape?